I'm a journalist and interested in hearing the story of your personal escape path from a condition of acute urinary retention, apparently without resorting to any surgical procedure. I have BPH myself now and nocturia for about four months while working through the diagnosis, testing, consultations, medication regime in our highly inefficient health care system. I am very interested in learning your personal story of escape from the symptoms of enlarged prostate. Do you tell this story in detail in either of your books? or in a published article or interview? Where will I find it? After a long wait I'm scheduled for a "Prostatic Arterial Embolization" procedure which blocks the arteries supplying blood to the prostate, causing prostate cell death, abosorption of dead cells through apoptosis, and consequent prostate volume/density and urinary tract symptom relief. You do not mention this new treatment on your web site. It appears to be only about half as effective as TURP for urological function (peak flow and post-void residual urine retention) or prostate volume reduction. However out to two or three years (as far as current studies go) patient satisfaction scores (IPSS and QOL) show nearly as good results by those measures as for the "gold standard", TURP procedure, with no risk of surgical damage to bladder neck or nerves that might cause impotence or incontinence. Thanks in advance for any feedback you may have to offer. 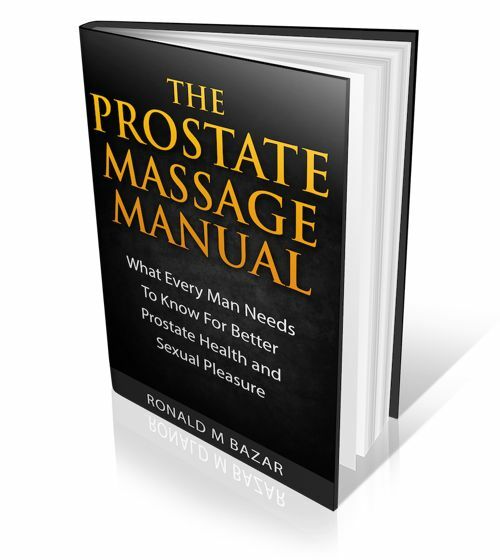 Yes on this site and Healthy Prostate book I do go into my story. Also there is info on PAE, Prostate Artery Embolization if you search for it using the search field on the site. It went from 110 grams (normal is 20 grams) in November 2009 to 240 grams in January 2015 when I had the PAE in Portugal by the originator of the procedure, Dr Pisco. However after some seeming improvement, I still had symptoms including acute urinary retention, so I knew it was not enough at all. A year ago in January 2016 I discovered the 3dProstateCure.com website as suggested by a reader. My views now on PAE have changed. Because it does not go to the source of the problem which are the pathogens in the prostate which cause the enlargement. I would recommend a thorough study of that website before you do the PAE procedure. Because, knowing what I know now, I would not do PAE because you want maximum blood flow to cleanse the prostate and remove particles. In my case, part of the 3D procedure is to treat with the needles to change the conditions inside the prostate. That then releases dead particles that normally discharge through the urine flow. You can see pictures of this on the 3d site. But I only released a much smaller amount than normal, and the doctor thinks it may be because of the limited blood flow. I hate to say this because I got to know Dr Pisco quite well and consider him a friend. We had many meals together while I was there and I met the training team from the Mayo Clinic while there. But the procedure seems to be the opposite of what you want. It may work for some patients somewhat as supported by the info. But it is not a cure. 3D does cure cases and even advanced and challenging ones. Did your urologist ever look at your prostate fluid under a microscope to see the pathogens? Why is that not standard urology diagnosis? Glands secrete fluids... wouldn't you want to see what story they tell by looking at the fluid if it is so easy to get? 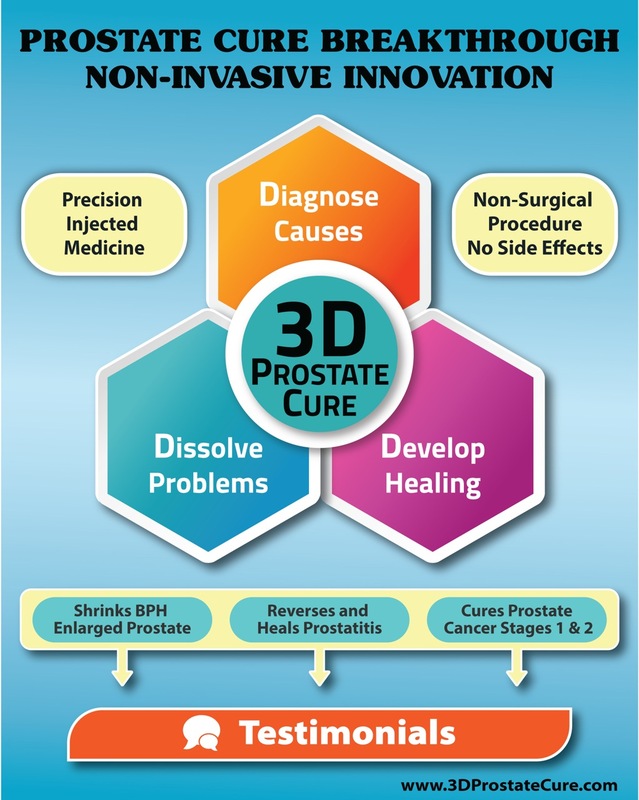 You can go to the 3DProstateCure.com website and you will find my case history and medical report there under testimonials. I am going back there for some advanced powerful unblocking medicines to help remove the stagnant material which should have come out already. I hope it works and wish I had not had the PAE if Dr Song of 3D is correct. Also I have not had acute urinary retention since being there in February. That is a huge improvement. Also my prostate has shrunk about 60% so far to around 100 grams, and will shrink more if I can discharge the released particles from the treatment. Read other testimonials on the site when there.